An increasing amount of The Consultancy’s studio time is now related to the design, delivery and implementation of Apps into a company’s business. Many of our customers have already seen the benefits that a strategic App can offer in comparison to a mobile website. But for anyone who doesn’t know the difference, we’ll be looking at the pros and cons in a series of blogs. Here in Part 1, we’re going back to basics. App is the abbreviation for application, which is essentially any type of computer programme. Around for as long as computers, App is now the accepted term for a piece of software that runs on a smartphone or tablet device, that is usually accessed by clicking or tapping on an icon. This one-click process eliminates the need to search for a programme or type in a www…address into the browser. Any user of social networks, weather, news or sports apps will appreciate the ease and speed with which they can access the info they want immediately using App icons from their home page. Technically, Apps are faster because they store data locally on mobile devices meaning data retrieval can happen fast. In contrast, websites generally use web servers, meaning that even if they’ve been designed to be mobile or reactive, they are can be much slower. Apps can further save users’ time by storing their preferences, and using them to take proactive actions on users’ behalf. Is an App right for my business? Here at The Consultancy, we remember the days when door and window companies used to say ‘I don’t need a website; I rely on word of mouth and the Yellow Pages.’ Nowadays, we all accept that social channels and search engines like google have replaced this type of marketing. Facebook is the new word of mouth (with a much broader and faster reach, for both happy and unfortunately unhappy people) and well, who flicks through a hard copy directory now instead of tapping into google? 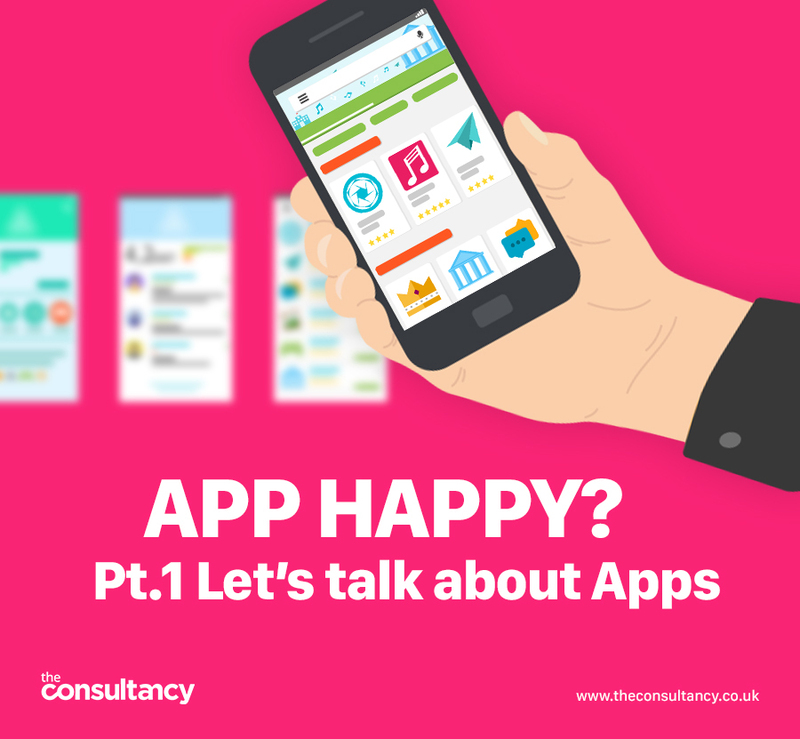 When it comes to Apps, we urge companies to think about what they need now and in the near future, and how they can take advantage of emerging business trends, one of which we’d say is the App. Of course, businesses with huge budgets can afford to have both a mobile website and an App, while most will have to choose one of them. And this choice comes down to usability, functionality and features required to meet target audiences’ expectations. As with any business decision, it comes down to what you want to achieve, with whom. Don’t miss our next blog which really gets under the skin of the main differences between the two.